The founder of our law office, Jose Arturo Gonzalez Jr., is also a certified public accountant. This dual licensing means we give clients the knowledge and experience of an attorney and accountant under one roof. He understands the tax implications involved in both business and estate planning. We are able to provide clients with everything from looking at the big picture to hammering through the small - but still very important - details associated with their case. Our law office has an A+ rating from the Better Business Bureau. This is mainly due to the fact that we provide outstanding service to clients. Not only are we hard workers, but we are also effective communicators. One of the most difficult aspects clients have with any legal issue is understanding what is happening now and what may happen in the future. We are clear about someone's options and what the path to resolution could look like. 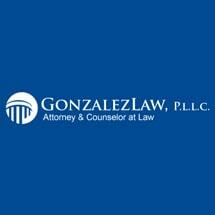 Gonzalez Law, PLLC & JAG CPA, PLLC, offers free initial consultations and accepts credit cards.